The district child protection unit of Katihar, Bihar on Friday handed over a girl child of sixteen years of age to the Goalpara Child Welfare Committee (CWC) of Assam. The minor girl from Goalpara, who was believed to have been trafficked, was rescued last year from the Katihar railway station. 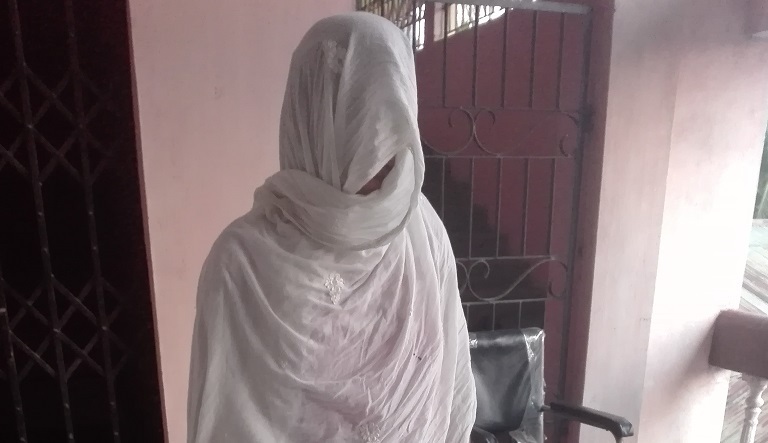 Karishma (name changed), a girl from West Goalpara was forcibly married to a man from Delhi last year by the relatives of her brother-in-law. However, instead of bowing down to the pressure and physical torture, she fled from the train at Katihar station on the way to Delhi and subsequently rescued by the Railway Police. According to the version of Karishma’s mother, Khodeza Biwi (name changed), she has three children, two daughters and a son. The family came under trouble after Karishma’s father died twelve years back. However, Khodeza somehow got married her first daughter Azida. Last year, Azida’s father-in-law Abdul Khalek took Karishma from Khodeza Biwi on the pretext that he will arrange her marriage. Subsequently, Karishma was married to some unknown person from Delhi without the knowledge of her mother. Fortunately, Karishma succeeded in escaping from the clutches of this person. Till then, whenever Khodeza Biwi insisted upon the address of Karishma’s in-law, Abdul Khalek, instead of giving the details, severely beat Karishma’s sister Azida who was his own daughter-in-law. This prevented Khodeza Biwi to go further and passed time only by praying for Karishma. On the other hand, during November last year, the Goalpara CWC received a mail from the Katihar CWC regarding the rescue of Karishma. However, Karishma couldn’t give the proper address of her to the CWC officials. This failed Goalpara CWC in tracing out her address. However, during February this year, the CWC, Katihar came up with the proper address of Karishma which helped their Goalpara counterpart to find out her family and prepare a home inquiry report. After a reciprocal communication between the two committees, the Katihar CWC sent Karishma to the Goalpara CWC on Friday last. Meanwhile, the Goalpara CWC accordingly received her on Friday and sent for one day stay at the children home and recorded her statement. “I was married to a person from Delhi against my will. So, I decided to escape. Now I am happy to come back to my place,” she said. On Saturday, Goalpara CWC handed her over to her mother Khodeza Biwi.